A written version of the investigation is below. Thanks so much for sharing the video of this activity. I had this activity in my mind, but didn’t know how to create it in the Geogebra. You’re welcome! 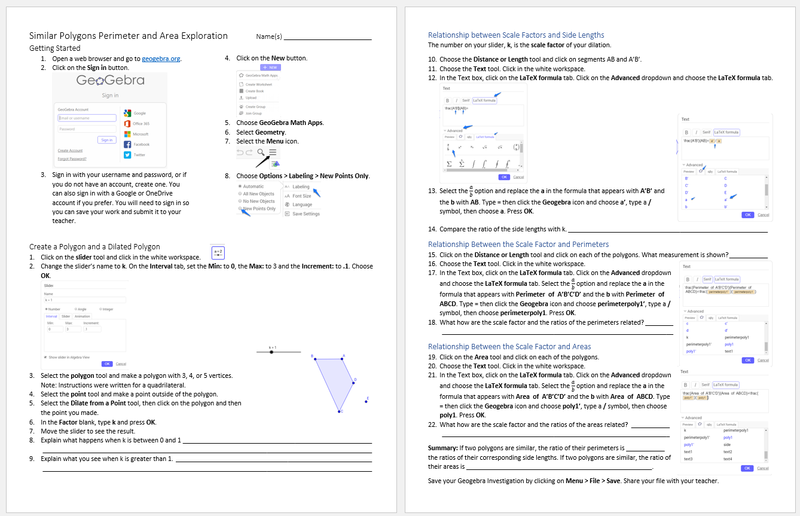 My intent was to write up instructions for my students to follow so they could learn more about the power of Geogebra. However, we are not one-to-one and it’s difficult to get a cart of computers so I posted anyway hoping it might help fellow teachers.